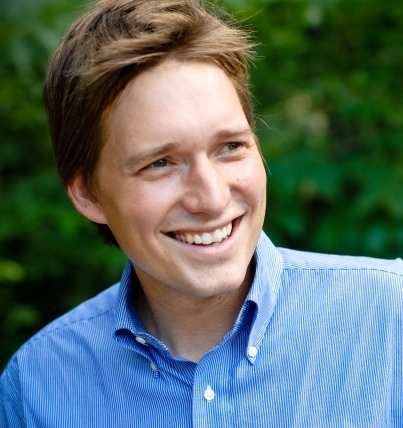 Pinnell: Flyover State Blues? Not in Oklahoma! Seems like every time a Presidential race heats up midwestern states get the 'Flyover State Blues'. The term "Flyover Country" refers to the part of the country that many Americans only view by air and never actually see in person at ground level. When Presidential campaigns start mapping out campaign stops- Flyover Country usually gets the same flyover treatment. Some states (Arizona, Michigan and Florida to name a few) are so fed up they've flirted with the idea of jumping to the front of the line. Problem is, New Hampshire and Iowa have automatic triggers in their state statues that would move their Presidential Primary if a state tries to jump them. The RNC supports the current calendar too, and is threatening to slash National Delegates if states do in fact cut in line. I wish states would simply take care of their own business at home and stop worrying about where they are in line or if they are labeled a flyover state. Oklahoma is the reddest state in the country. We got that title and our State House and Senate majorities in Presidential election years. Ricky Bobby from Talladega Nights would tell you "If you aren't first, you're last!" Well, Oklahoma isn't first, but we are doing just fine with our placement in line! While states need to play by the rules, there are ways to make your state more appealing to Presidential candidates, and I believe we accomplished that this past weekend at our OKGOP State Committee Meeting. The way OKGOP rules defined a proportional state was not how the RNC defined a proportional state. Therefore, we needed to change this party rule to be in compliance with the RNC. The change makes OK a proportional state statewide (with some minimum requirements). Therefore, if no presidential candidate receives more than 50% of the statewide primary vote, then Delegates would be awarded proportionally, just as is currently done in our congressional districts. This rule passed overwhelming last Saturday. This new rule is not only a more fair way to award our statewide at large Delegates, but it also changes the game for GOP Presidential hopefuls. If you remember, four years ago John McCain was the winner of our statewide at-large Delegates because OK was a winner-take-all state in regards to the statewide vote results. However, he had only received 36% of the statewide Republican vote, far from a majority of the will of Oklahoma's primary voters. Mike Huckabee, who received 33%, and Romney who received almost 25%, didn't receive any at large Delegate votes. Under the new rule, since McCain didn't receive more than 50%, any candidate receiving more than 15% of the statewide vote would've received delegate votes. I believe that type of proportional setup would be very intriguing to this large and very deep field of GOP candidates. Flyover blues? Nah, not in Oklahoma.